The recent near record-breaking heat may remind some readers that all too often drivers forget when they exit their vehicle on really cold or very hot days about children or pets in the back seats – with potentially fatal consequences. 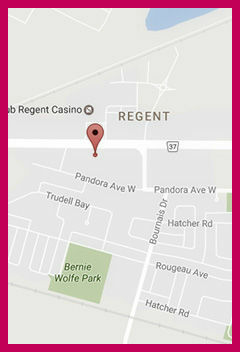 Nissan Canada’s industry-first Rear Door Alert (RDA) technology aims to make sure that no child or pet is accidentally left behind. As Vickar Nissan sales consultant Bill Kueneman points out, the new technology is the first to activate your horn if you leave the car without checking the back seat. The system monitors when the rear door is opened and closed before and after the vehicle is in motion. The system responds with a series of notifications if a rear door was used prior to a trip, but was not re-opened after the trip. Once the vehicle is in park and the ignition is turned off, the system will first display a notification in the instrument panel and progresses to subtle, distinctive chirps of the horn. By drawing attention back to the vehicle while the driver is walking away, the honking alerts you to recheck the back seat in addition to visual or interior audible alerts. 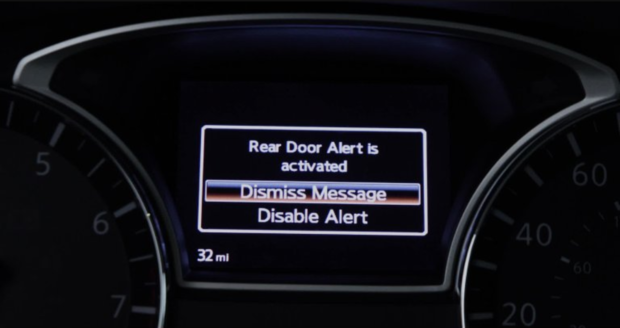 Kueneman reports that the Rear Door Alert technology is being introduced as standard equipment with the 2018 Pathfinder which is expected out soon. Nissan will be adding RDA as standard equipment on eight more 2019 models, including the best-selling Rogue and the all-new Altima. By 2022, Nissan plans to have RDA standard on all four-door trucks, sedans and SUVs. Kueneman notes that the RDA system is easy to configure and can be temporarily, or permanently, turned off through a menu in the cluster display. 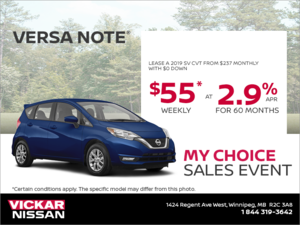 For further information about Read Door Alert and other Nissan technologies, contact Vickar Nissan at 204 669-0791 (www.vickarnisan.ca) or drop into the store at 1424 Regent Avenue West.